Gekkeikan’s tradition for creating the world’s finest sake dates back more than 400 years to Fushimi, Japan. 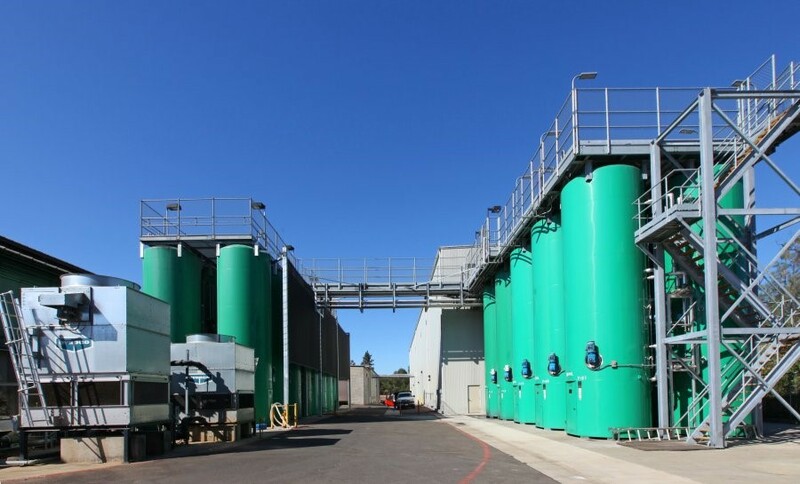 Today, Gekkeikan applies the newest technologies to a brewing process that is nearly 2,000 years old at its first state-of-the-art North American brewery in Folsom, California. Maintaining precise temperature control throughout the production process is critical to Gekkeikan’s high-quality product. The company relies on its new 180-ton Daikin chiller for continuous, year-round operation at its 52,200 square foot industrial food processing plant and warehouse.The facility is located in an area with high-quality water and abundant rice, which are both optimal for its needs. However, the facility is also surrounded by trees, including cottonwoods. When the wind blows, cottonwood seeds can quickly clog HVAC intakes. Gekkeikan needed a solution to its cottonwood problem. Gekkeikan found that solution—with PreVent filters. 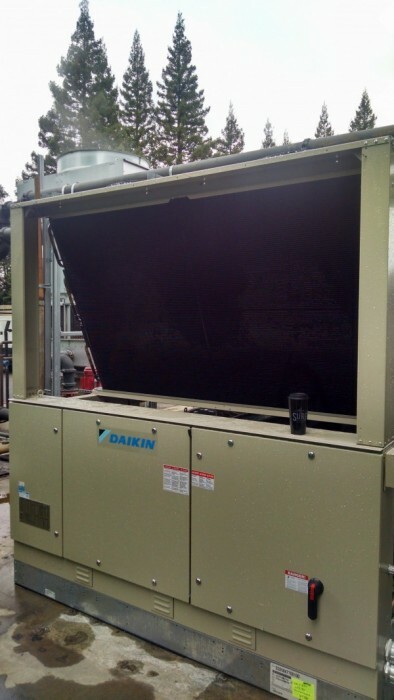 Air Filter Control of Sacramento, California, worked with Gekkeikan to install the PreVent system. The entire job, including the chiller and PreVent system, cost $150,000. For just $1,000—less than 1% of the total investment—the PreVent system protects Gekkeikan’s chiller, unique process requirements and brand reputation, helping the company reach its sake production goals. Gekkeikan saved 66% with MagnaMount® no-drill installation. Typical labor with drilling mounts costs $180/hour. Instead, PreVent system filters were quickly installed in just minutes using MagnaMount earth magnets. The PreVent system substantially reduces maintenance and cleaning costs. The company now spends only $200 every 18 months for Air Filter Control to perform a thorough cleaning, versus the $600 they spent previously. In between, Gekkeikan’s facility management staff simply uses a brush or hose to clean the filters themselves. With the PreVent system, the company has tripled its savings. Gekkeikan’s chiller now operates continuously and precisely, with minimal downtime. 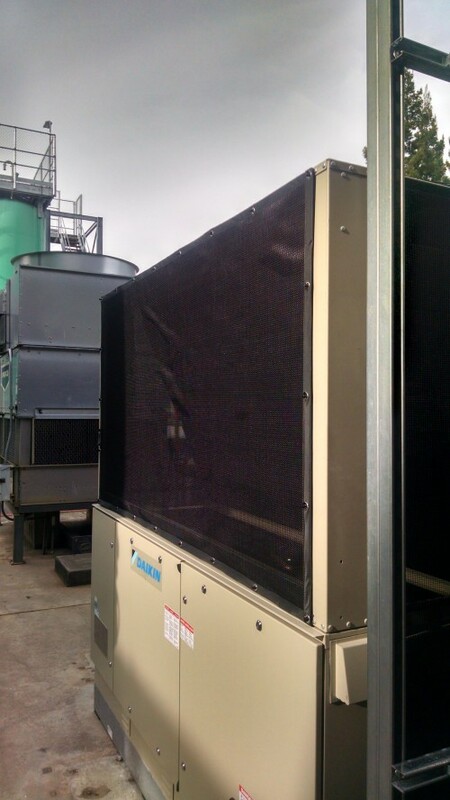 Even amidst cottonwood trees, the chiller provides nonstop process cooling, and allows the plant to operate at peak performance. Control costs and airborne debris with the PreVent system. To add up your savings, visit permatron.com/calculator. 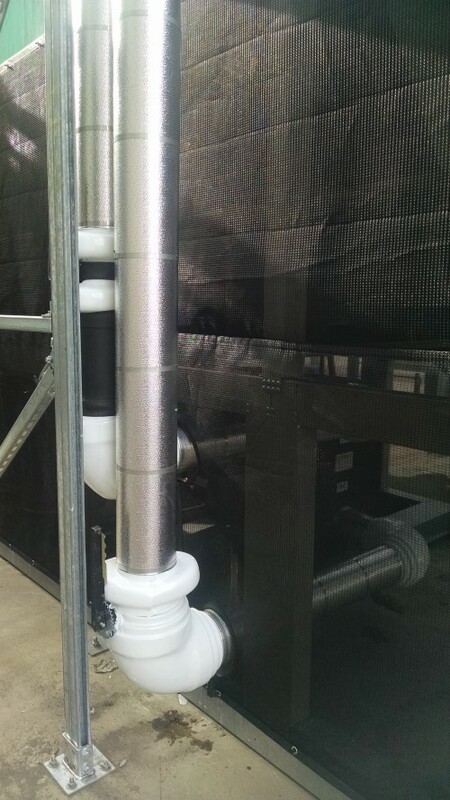 PreVent filters were installed to seamlessly wrap around existing pipes and electrical with custom pattern cut-outs.